Love spells have been around for centuries and have often been used by those hoping to catch the attention of the person they adore. 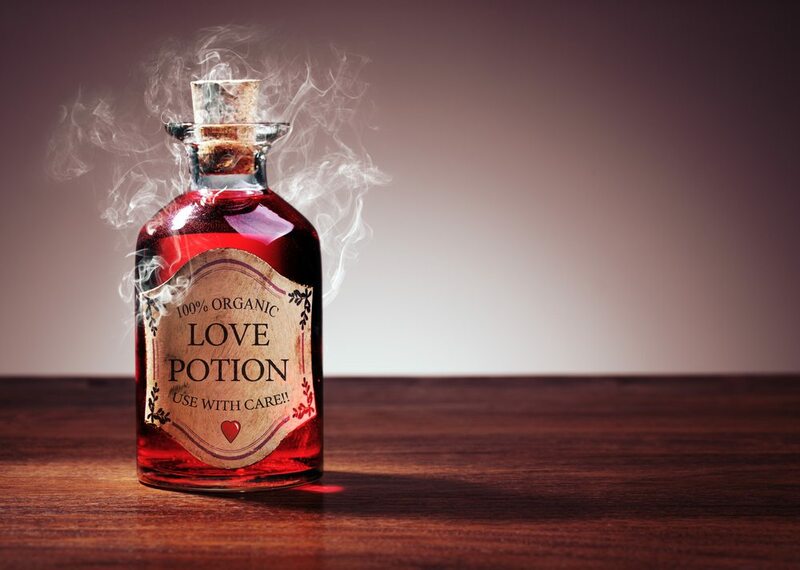 However, while casting a love spell may initially seem like a great way to get yourself a Valentine, in reality, things may be more complicated than they seem. Everyone is born with the ability to make their own choices and our differences are what make us unique. When you cast a love spell on someone, you take away their ability to choose their own path in life. A love spell robs that person of their free will and forces them to make decisions that they otherwise might not have made. Life is full of surprises and the twists and turns that occur as a result of free will are what makes the journey that little bit more magical. When you cast a love spell on the object of your affections, you might be robbing the person they were originally destined to be with of The One. After all, the person you cast a spell on might have had a natural soulmate waiting in the wings but thanks to your spell, they may end up with someone who isn’t a great fit. Dabbling with nature might make you happy but it could upset others. When love occurs as a result of a spell, it’s not true love. It’s forced and fake love. Although your love spell might help you catch the attention of the person you fancy, their feelings for you will not be true. Imagine them becoming a prisoner against their will. They may express feelings of love and desire towards you but deep down, this is not what their soul wants. Wouldn’t you prefer to experience a true and natural type of love? You might have to wait a while, but we promise it will be worth it. Although your love spell might make your crush fall in for you, it doesn’t mean you’re a great fit together. A few months into the relationship, you might find that you’re incompatible or want different things from life. Unfortunately, love alone is not enough to make a relationship strong. In fact, love can trap people in unhappy or unsatisfactory relationships that are simply not meant to be. Although you might be able to cast a love spell on someone else, you can’t cast one on yourself. So that person you’re crazy about right now could technically end up heartbroken further down the line if your own feelings change. If you wouldn’t wish heartbreak on yourself, avoid inflicting it on someone else if you can. If you’re thinking about casting a love spell on someone simply to avoid feeling lonely on Valentine’s Day, you’re making a big mistake. It’s not unusual to feel a little left out on the ‘most romantic day of the year’ but it will be over before you know it! If you don’t want to be alone, surround yourself with friends and relatives or find something enjoyable to do on your own. Once you learn to love yourself, the right person will soon find you. So what’s the moral of the story? Don’t tamper with nature! As upsetting as unrequited love can be, a relationship that has been forced by magic can be so much more painful.